Il Divo are releasing their sixth studio album A Musical Affair on Monday 2nd December. It includes guest performances from Barbra Streisand, Nicole Scherzinger, Kristin Chenoweth, Heather Headley and Michael Ball. They are also performing a limited run of Broadway performances at the Marquis Theatre with special guest star Heather Headley (The Bodyguard) starting on 7th November. 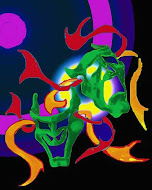 Listen to Can You Feel The Love Tonight (featuring Heather Headley). 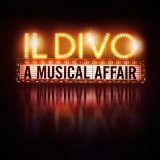 A Musical Affair is Il Divo’s first compilation of songs inspired by Broadway shows including The Phantom of the Opera, Carousel and West Side Story featuring classics Some Enchanted Evening (South Pacific), Bring Him Home (Les Miserables) and Tonight, (West Side Story).